Did I ever tell you the story of when my sister was a little girl? She had this long gorgeous auburn hair. Only problem was she refused to get it brushed. So my mother gave her an ultimatum. Brush it or Cut it. And cut it she did. And in all her kid pictures you see an adorable little girl with short hair. Now, if you lost the battle of the brush, rest assured, that all hairstyles – long and short just look so much better with matching adorable hair accessories! So here’s the rundown on the top 5 hair accessories for girls. 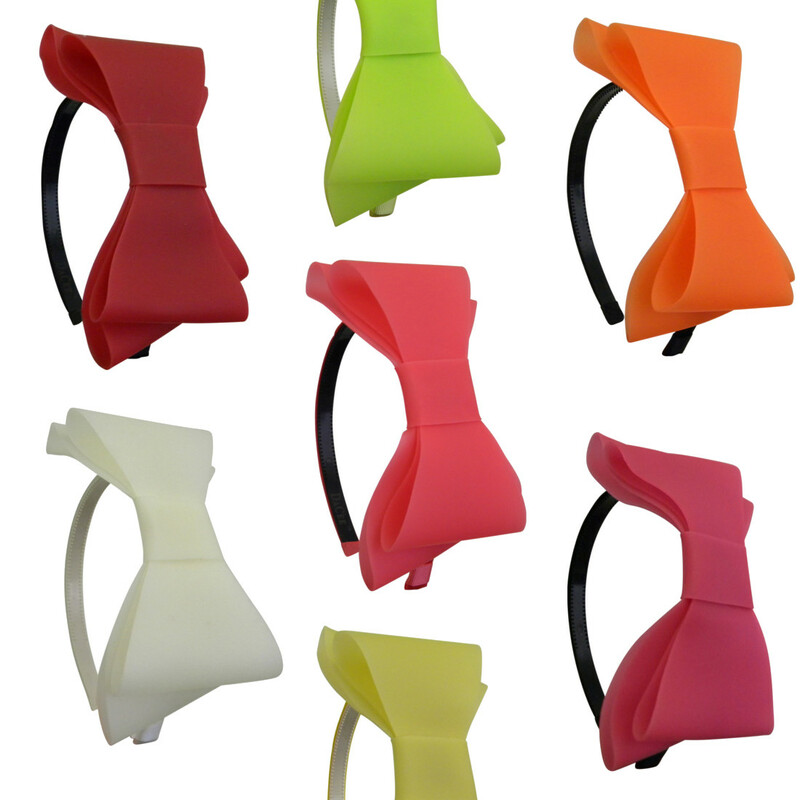 Pony Holder – What would a post on hair accessories be if we didn’t mention pony holders (hair twisters). There is so much variety out there. From the smallest braiding bands to wide scrunchies there really is so much available. New for summer 2015 is the fashion hair ties elastics that can be worn in the hair, or on the wrist for a fun hip bracelet. Bows – Ever met a girl who didn’t love bows? Big bows, small bows, no matter. That little strip of grosgrain transforms her look! Hair bows are fairly inexpensive so you can really stock up on them and get ones to match every outfit. They look really nice when placed on a side pony, or you can do two pigtails on a real little girl and clip one on each. Headbands – Headbands are great for keeping the hair back and out of the way especially with all the summer sports and activities going on now. The headbands today can be very attractive. Flowers, cute hair bows, thin or thick – anything looks great on a hairband. And dress it up! Hair bands with diamonds for elegant occasions are all the rage. Banana clips – these long combs just never seem to go out of style. They’re fun to wear and come in tons of colors and styles. You can never have enough. Just keep in mind that banana clips are not good for the real little ones since their hair is generally finer and you need some thickness to wear the banana clip properly in your hair. But if your daughter has hair that can hold it and she’s already begging for one, go ahead, indulge her! There is the standard clincher which looks like its name – a banana comb, and there are also all different kinds – rounder, minis and more. Jaw clips – Jaw clips, like banana clips are here to stay. They come in all sizes from mini jaw clips for your babies thin hair to ones that are made for adults long thick ponies. You can use claw clips to keep your hair neat in a half pony, full pony, or use the longer ones to keep all your hair up and off your neck. So there you have it! The top five hair accessories that make great haircuts look even better! What Kind of Headband is Best for Girls? Let’s talk headbands. What kind of headband is best for your little girl? So that really depends on her age, stage, and hair texture. There are basically 3 kinds of hair bands for girls. Hard headbands with teeth, hard bands without teeth, and soft hair wraps. Starting with the littlest babies, mothers start putting hair bands in their (non-existent) hair for the cutest look! Something about a new baby with a fresh flower in their hair looks so adorable! Babies need a very soft band with stretch to accommodate their delicate heads. Companies such as Dacee, Motique and others make soft headbands for babies ages 3-18 months. Once your little girl hits her toddler years, she may decide she wants to be BIG and wear a hair band like the big kids. Headbands without teeth make the perfect accessory that she can put in and out herself. Or, you can start with headbands with teeth to keep all those wispy baby hairs in place. Older kids choose headbands with or without teeth based on hair texture. Very smooth hair, is fine without teeth, but thicker wavy hair often needs the teeth factor to stay in place in the hair. And finally, soft headbands are great for kids of all ages. They come in so many styles…Stay tuned for next week when we discuss the various types of turbands, leather headwraps and soft wide headwraps and their pros and cons! Tip: Find a headband without teeth that you love, but need the teeth? Take the rough side of Velcro and stick it inside – Presto, you now have teeth! Spring is in the air! Hair Accessories are the first accessory to update your kids look! Spring is definitely on its way over, here on the east coast. 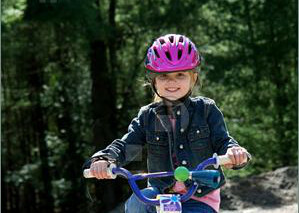 Kids are once again taking out their bikes and helmets and speeding down the pavements. The melting snow soon to be a distant memory. With spring comes the feeling of newness. Rebirth. And as the leaves start sprouting, its a great time for a fresh start. Though it may be too cold to pull out summer clothing, your kids hairstyle can announce the fast approach of warmer weather. One of the best hair accessories for the new season is the flower hair clip or flower headband. Flower clips look great in a half side pony, and do just as well in the back, on top of a full pony if you like your childs hair pulled back for a neat look. A flower headband will keep wispy hair out of your kids face, and though kids always request it…clips and headbands together are a big fashion no-no. So clip a fun flower in your daughters hair, and very soon, flowers will be sprouting everywhere! Its been a long winter. But we made it!